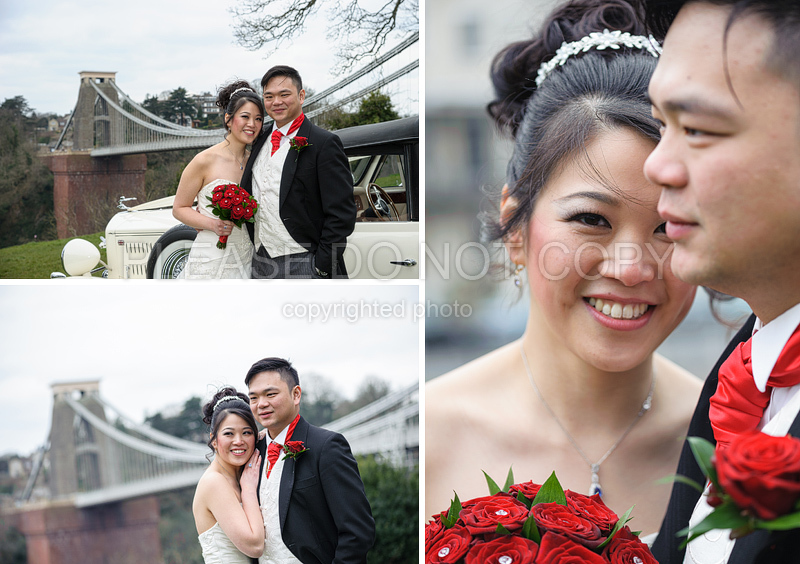 Selina and Alan was married on Saturday 30th March 2013 at the Water Sky Restaurant in Bristol. 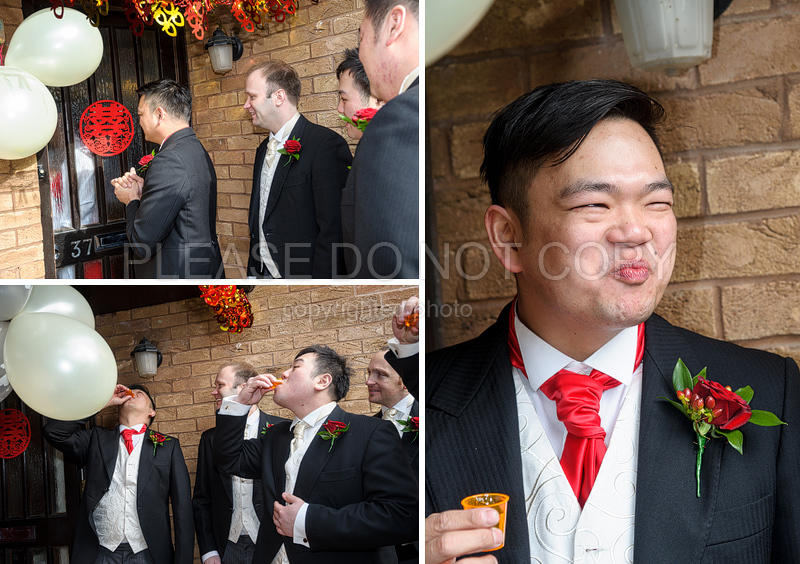 I so enjoyed shooting Selina and Alan’s wedding. 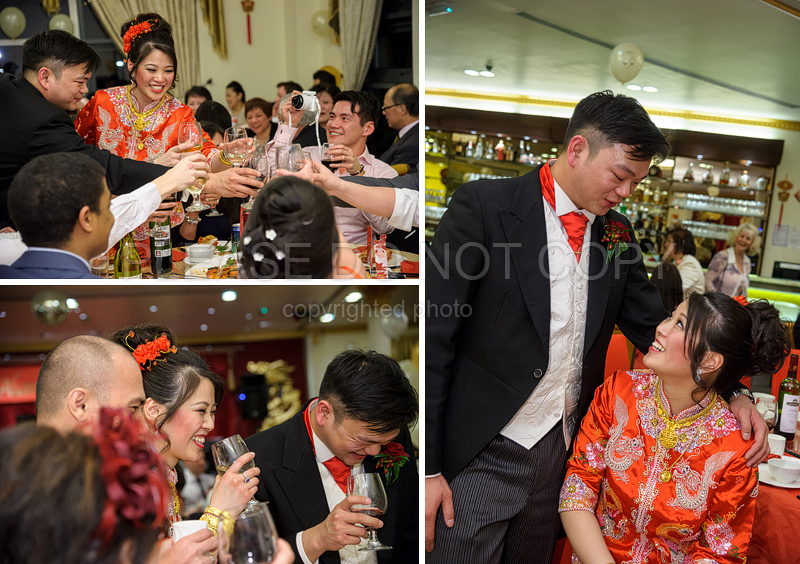 It was my first full Chinese Wedding and it was lovely to see the different traditions, starting with the games which the bridesmaids play on the groom and his boys… (apparently until the bridesmaids have been satisfied, the grooms not allowed in to collect his bride). Then the Tea Ceremonies! these happened throughout the day, but firstly at the Brides parents house followed by the Grooms parents house. 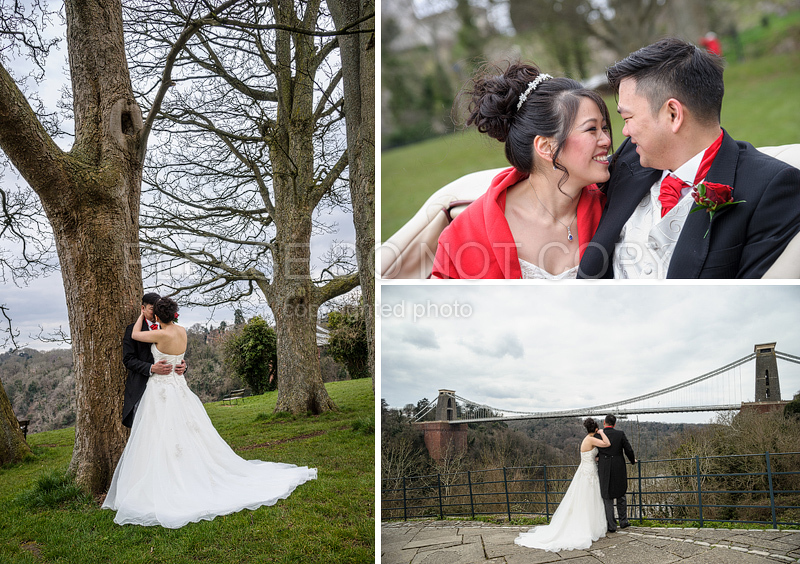 Then it was time for the Bride and Groom’s photographs (they get married later)… for these we went up by the Clifton Suspension Bridge. Their wedding car (Englands Finest Cars) parked up on the grass verge and with the bridge in the background, this was the recipe for some amazing lovely shots (even in the freezing cold)! Afterwards they went on to the Water Sky Restaurant for their ceremony and the rest of their celebrations. They had a huge 10 or so course banquet, followed by the speeches and finally the first dance. 14 hours later I finished for the day, but despite feeling like my legs were about to fall off, I was still looking forward to going back the following day to cover their second banquet with a different 250 or so guests!! !